What Makes Warm Buddy The BEST? I’m dealing with constant pain right now in my left arm and shoulder from an injury I had earlier in the year. Heat and cold are the only things that seem to really work. 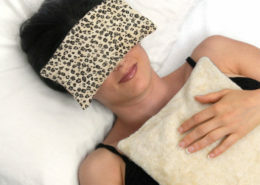 The heat it gives off is amazing – totally blows my old heating pad away & the smell is wonderfully soothing. I wanted to let you know that my son just loves this product. It is great for snuggling at night and when it is cold outside. I just throw it in the carseat or stroller to give him some extra warmth. Warm Buddy Company creates products that promote relaxation and provide natural relief from aches, pains and stress. We have been following this philosophy since 1995, while creating our world famous aromatherapy heat wraps, heat packs, eye pillows and the original warm up plush animals. Warm Buddy Company holds a Class 1 Medical Device Establishment Licence as a result of extensive product testing and quality control. Warm Buddy products are simply the most effective, highest quality and safest heat therapy products available. All Warm Buddy heat therapy products are proudly designed and manufactured in Canada. Warm Buddy heat wraps and heat therapy products have become World famous for the highest quality plush covers, natural ingredients, aromatherapy, long lasting heat and washable covers. Every heat wrap is tailored to work on specific body parts. Unlike hot water bottles, Warm Buddy heat wraps provide penetrating, moist heat which is enhanced by the addition of aromatherapy. 1 in 5 Canadians suffer from chronic pain. Despite this widespread occurrence, many individuals still suffer with unrelieved or under-treated pain. Pain’s negative impact has been found to span every age and every type and source of pain in which it has been studied. People dealing with pain have a significantly decreased quality of life and are more likely to show symptoms of depression. The Warm Buddy Company is committed to helping improve the quality of life of pain sufferers with our line up of natural heat wraps and heat therapy products. Warm Buddy heat wraps provide pain relief with deep penetrating heat that increases blood flow. Increasing blood flow brings more nutrients and flushes out injured debris. Heat therapy also promotes speedier healing by stimulating the bodies natural metabolic rate. Applying heat to an injury activates receptors that block the effect of chemical messengers that cause pain to be detected by the body. Warm Buddy heat wraps are a natural way to deal with pain and injuries. Many studies have concluded that heat wrap therapy is more effective for relieving lower back pain than drugs such as ibuprofen and acetaminophen. Heat wrap therapy does not have the potential risk to the liver, kidneys, and gastrointestinal tract than can accompany inappropriate analgesic (oral pain medication) usage. Heat wrap treatments can be better than oral analgesics because they go beyond pain relief to provide muscle relaxation and increase flexibility. Warm Buddy therapy wraps can also be applied as cold therapy treatments. When used cold, swelling and inflammation are decreased. Cold dulls nerve activity and reduces the sensation of pain. Cold wrap therapy provides vasoconstriction of blood vessels which stops fluid from traveling to the injury where swelling occurs thereby reducing the amount of swelling and permits natural fluid drainage. Cold also reduces muscle spasms and tightens muscles (which limits stretching) and allows them to heal.